Our AISI 316 Stainless Steel Seamless Pipes & Tubes are highly known for their sturdy structure, tensile strength, chemical resistant and long service life. 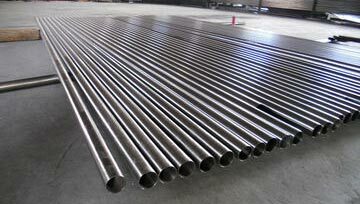 We are recognized as one of the trusted Manufacturers, Exporters and Suppliers of Stainless Steel Seamless Pipes & Tubes. They are fabricated under the strict guidance of experienced supervisors who ensure the finest quality of our SS Seamless pipes and tubes.